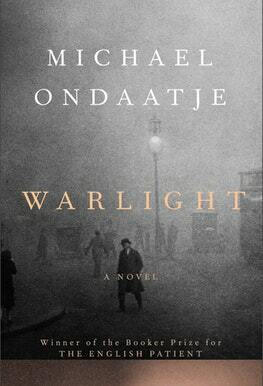 ‘Warlight’ takes place in England in the years immediately following World War II. The main protagonists are fourteen year old Nathaniel and his sixteen year old sister Rachel. After the war in Europe was officially declared over, both of their parents leave under mysterious circumstances, and two unfamiliar men whom they call The Moth and The Darter are left in charge of their household, and every night there are colorful strangers crowding into their house. People assume that World War II in Europe ended in the spring of 1945 when Hitler committed suicide, and Germany surrendered. However all the hostilities that had been unleashed did not immediately end. All across Europe, impromptu groups sprung up to carry out vengeance against their fascist neighbors who had brutalized them during the war. Also especially in the Balkan countries guerrilla squads of ex-Nazi soldiers formed to continue the fight. The work of the British intelligence agents continued after the war to bring some semblance of order to the turmoil of post-war Europe, and we find that Nathaniel and Rachel’s mother was involved in that effort. Michael Ondaatje is very good at capturing the ambiance of London immediately after the war. The term ‘Warlight’ refers to that reduced lighting that was used all over England to somewhat protect itself from German bombers during the war. With the war over, London was like a ghost town but ready to come back alive. Later in the 1950s Nathaniel himself pursues a career in British Intelligence partially in order to find out exactly what his mother was doing during the war. Michael Ondaatje has enough confidence in his literary abilities, he does not have to try real hard to captivate his readers. It comes naturally. The story is not at all direct or straightforward or told in linear fashion, but rather takes many twists and turns. Whereas other writers may have simplified this story to make it more dramatic and palatable to the reader, Ondaatje is sure enough of his own skill to deal with the complexity in meaningful fashion. He succeeded for me. His main achievement is capturing the ambiance and atmosphere of bombed-out England after the war and the mystery and excitement and color of these people waking up and resuming their peacetime lives. This is high on my wishlist. I so loved The English Patient years ago, and although I have read one other by Ondaatje I can’t remember what it was. I love World War Two narratives and this will be right up my street. Yes, ‘Warlight’ has a good re-creation of what it was like in London immediately after WW2. Were your parents in Australia or England?